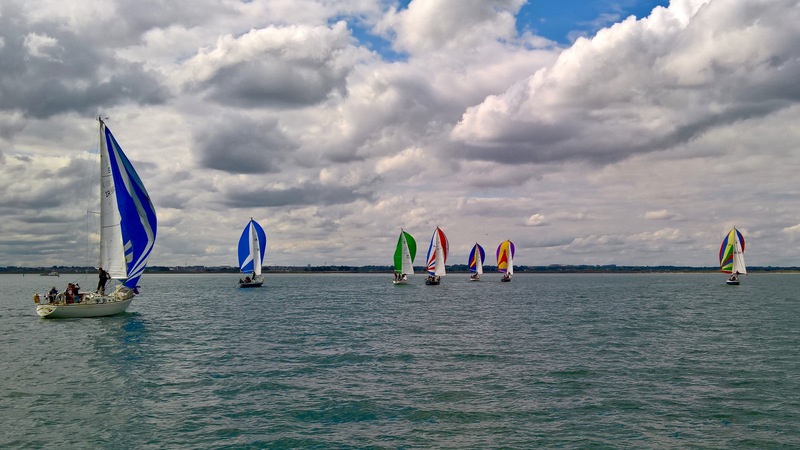 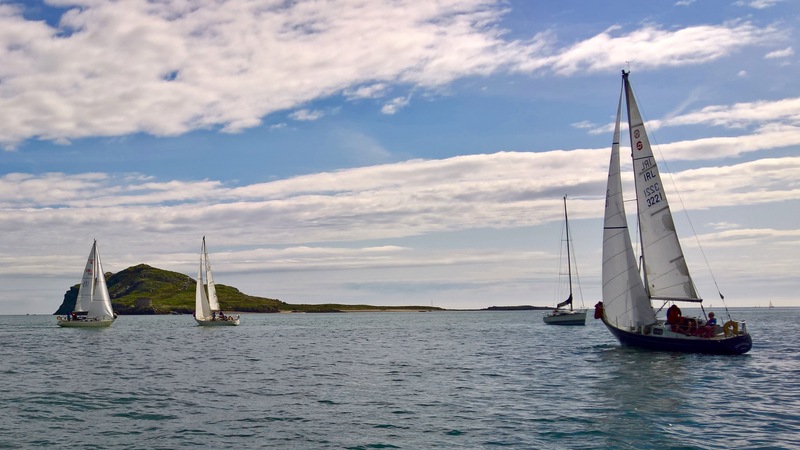 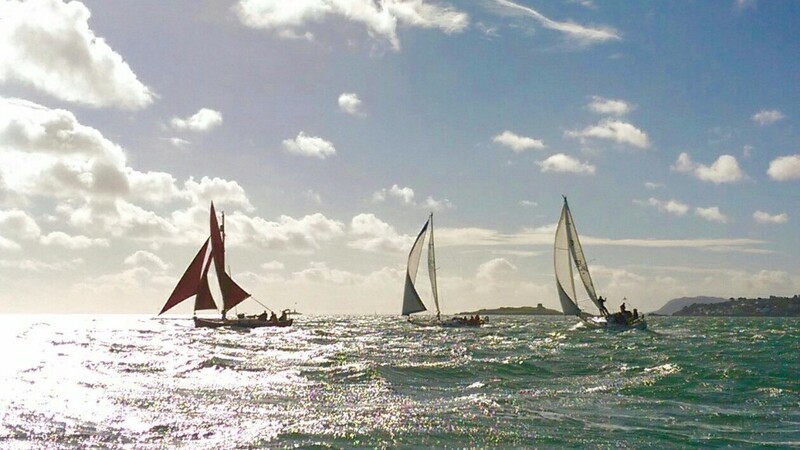 Saturday 13 May saw a blustery start to the morning with the weather forecasters predicting southerly winds between 25 and 30 knots and increasing over the day. 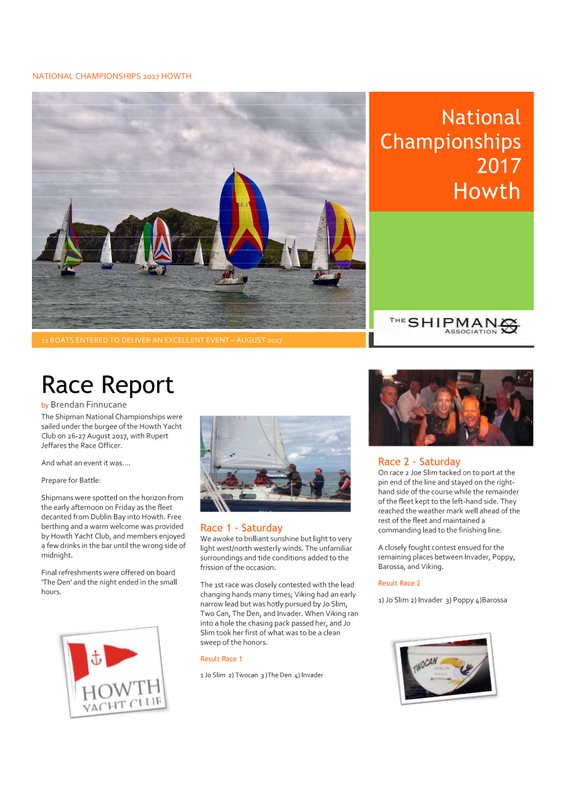 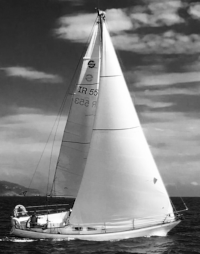 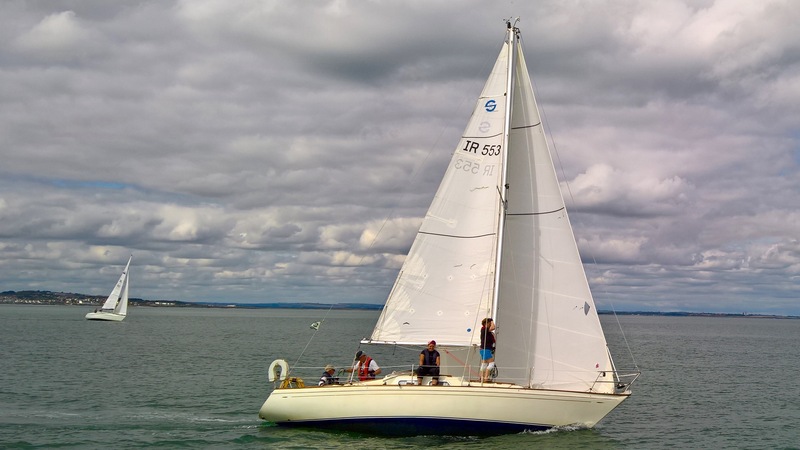 The Shipman 28 is a boat that can handle more weather at sea than most, and so after numerous checks on the weather winds and sea state the race was on. 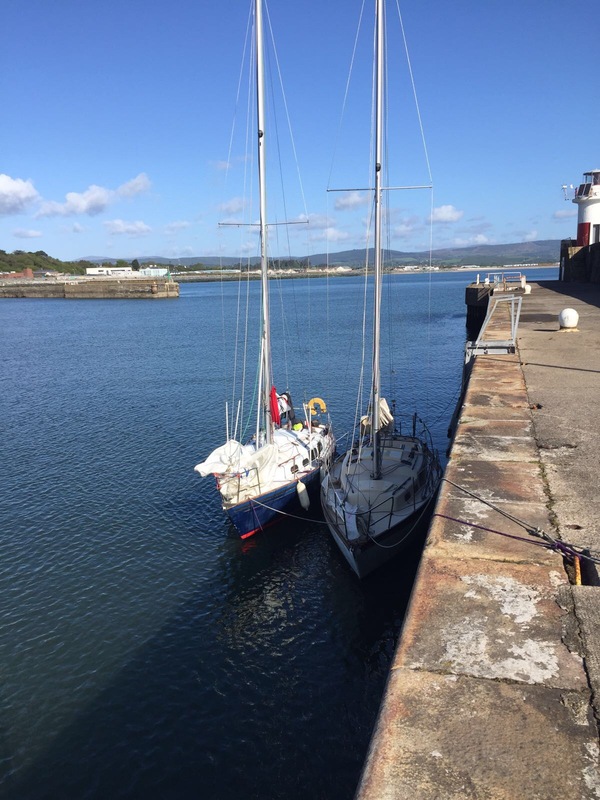 Andrew Grey on Malindi kindly volunteered to start the fleet off. 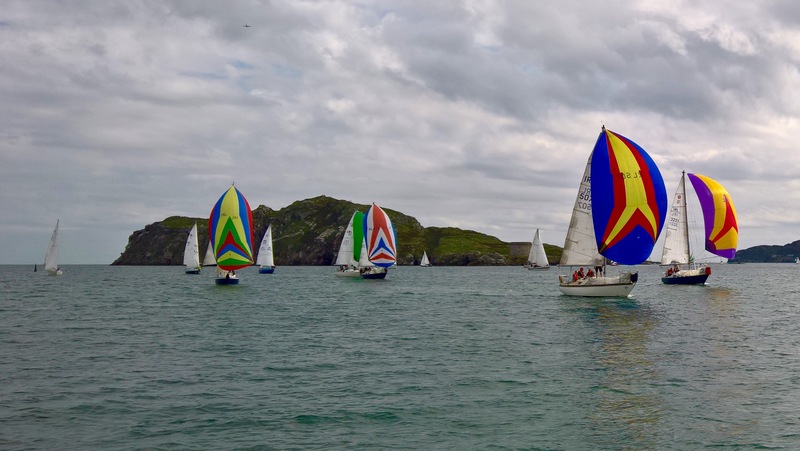 Five Shipmans, Invader, Barossa, Twocan, Viking and The Den, had a lively start to the racing just after 1330 hrs, with cruising Shipman, Phoenix accompanying the boats out after resolving some technical difficulties. 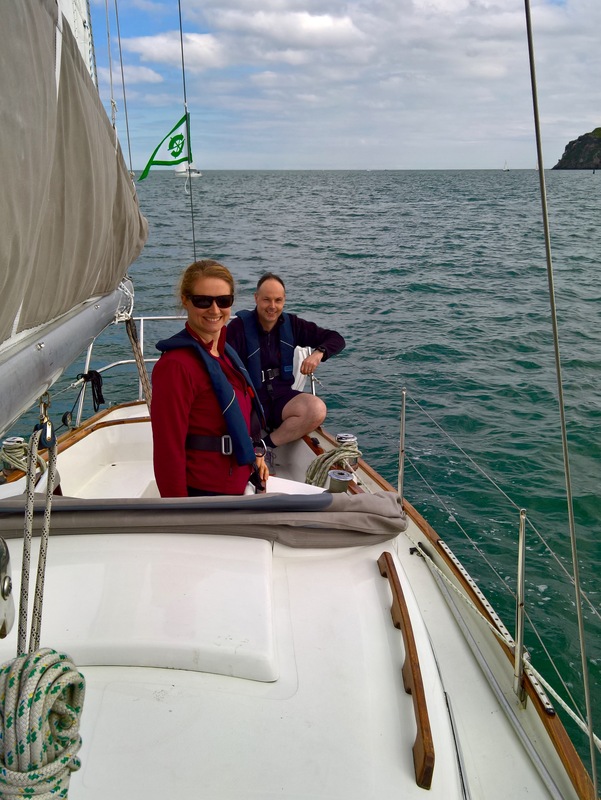 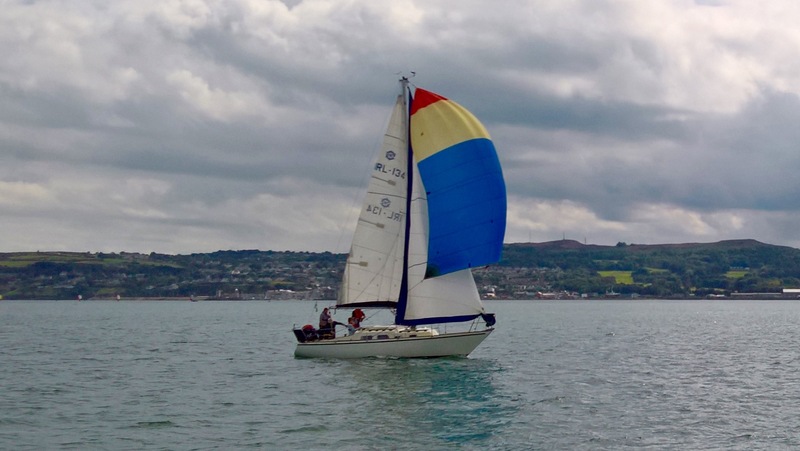 Once underway, the sea was deceptively flat until the fleet reached Killiney Bay. 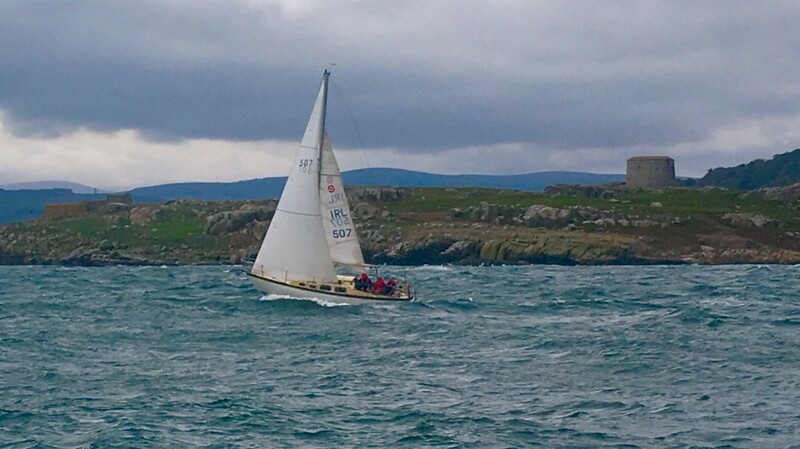 Barossa had a very slight lead by Dalkey Island, but from here on out the fleet faced Southerly winds, and rolling seas for the rest of the race. 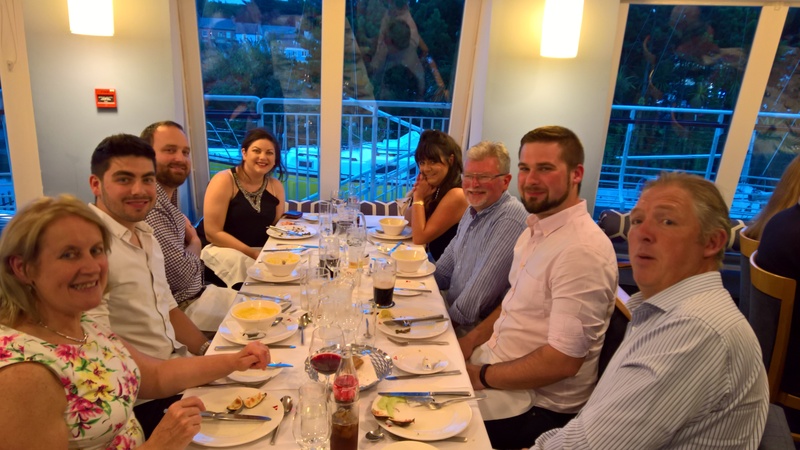 It was not long before the Den took the lead and a duel ensued with Viking in close second. 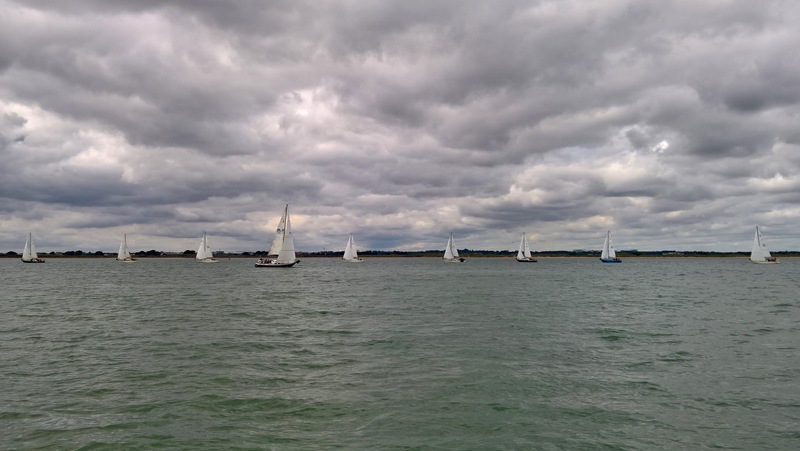 The fleet was all in close sight of each other, regularly crossing on tacks as boats vied for tide and best progress into the building sea. 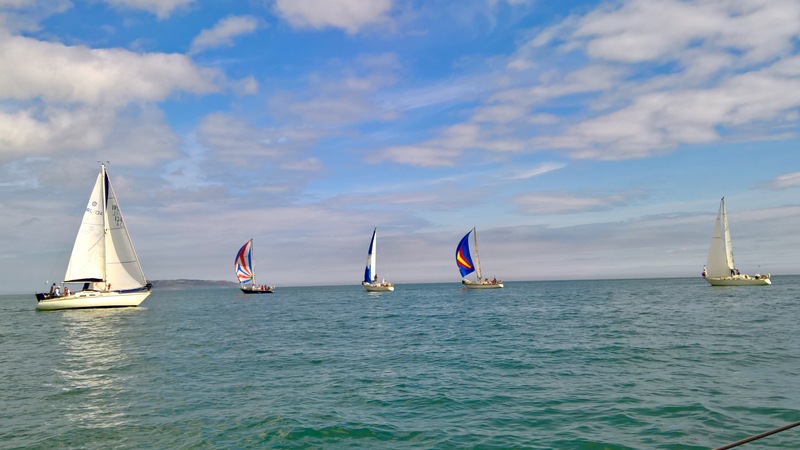 The Den headed for the horizon several times and charged back in, while Viking, Barossa, Twocan and Invader took a more in shore course. 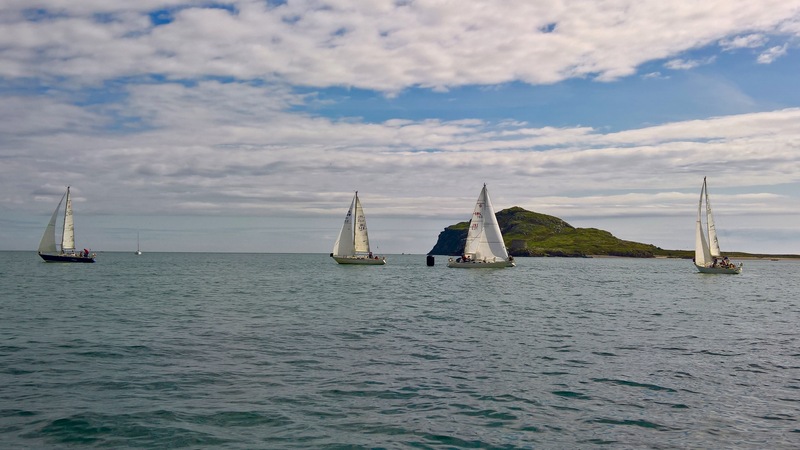 Great fun was had in the conditions and as the ships rounded Bray head it could still have been anyone's race. 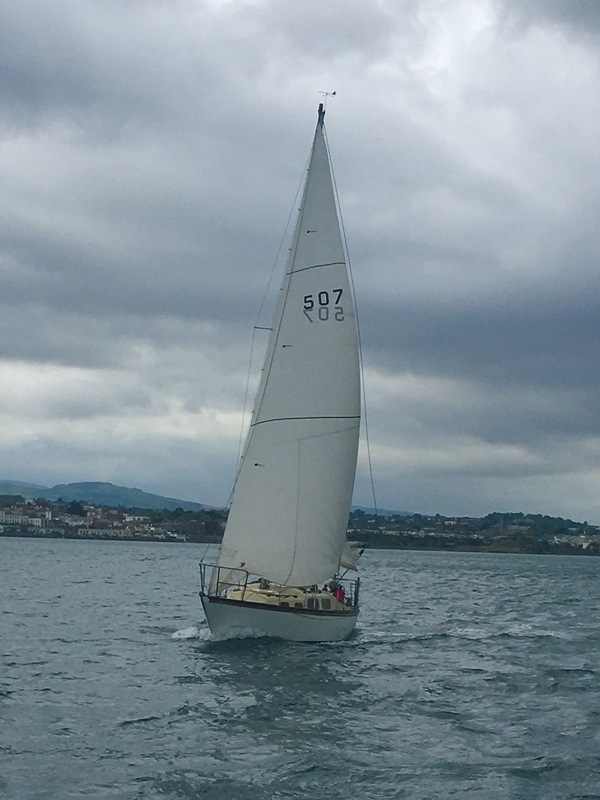 With Wicklow coming into view, the Den and Viking had established a healthy lead, but the Den was looking to have called it best. 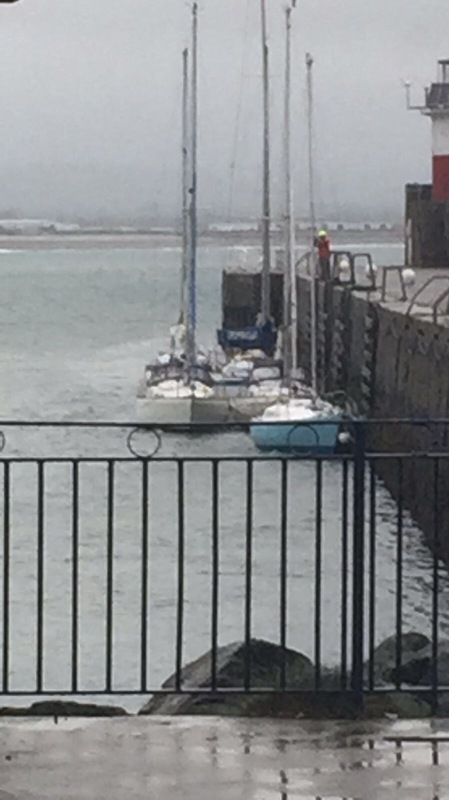 Drama soon followed as Viking blew out a spreader and took the decision to turn back to home. 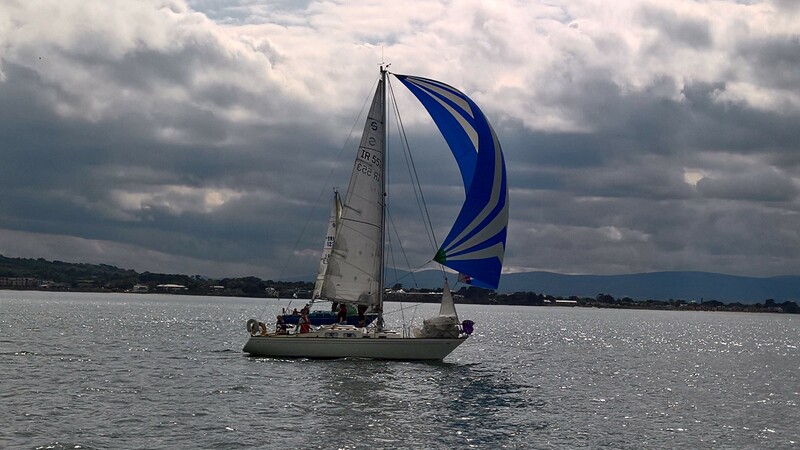 Skillfully the crew nursed the boat back to Dun Laoghaire with mast and pride intact. 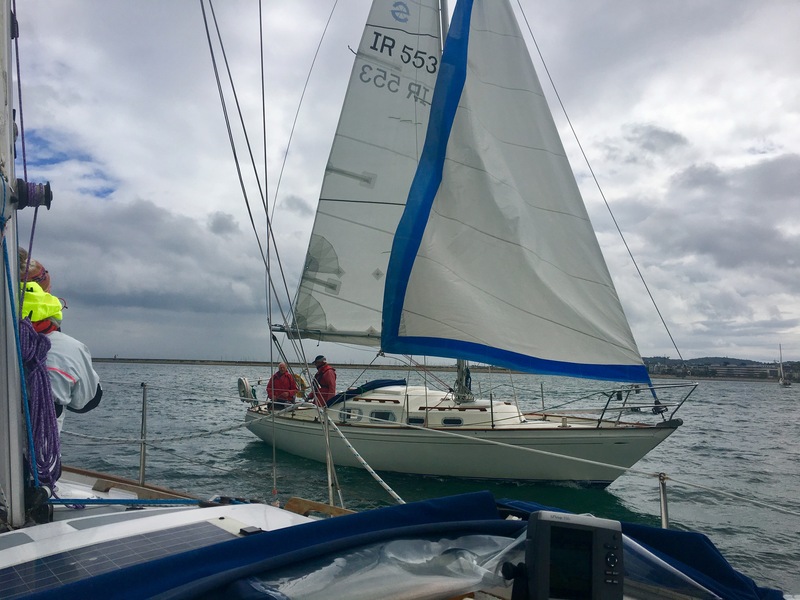 Barossa took up the chase with Twocan and Viking not far behind, but clever tactics by the Den paid off and they were not to be caught. 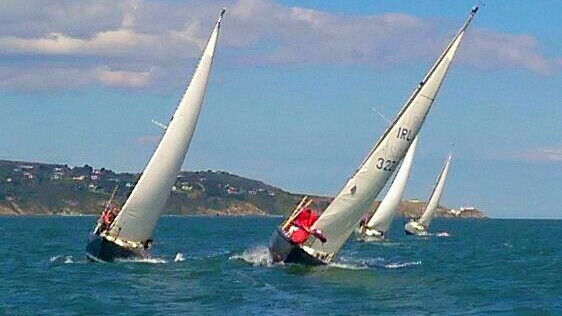 The fleet arrived into Wicklow at 1730 hrs led by The Den, followed by Barossa, and the other boats close behind. 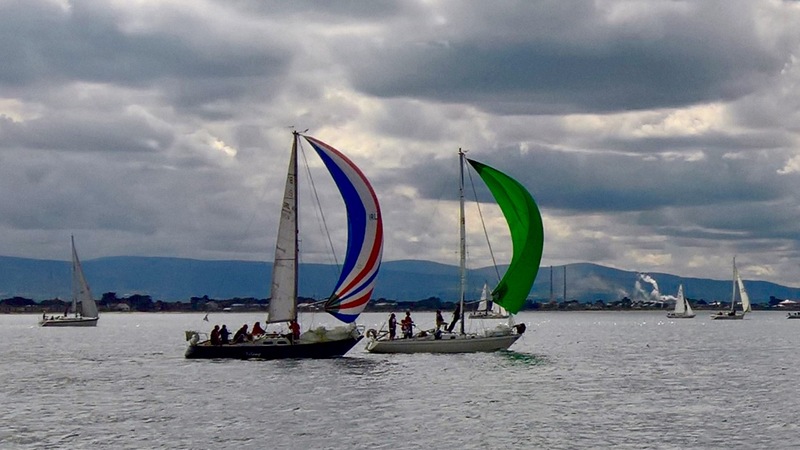 At Wicklow Sailing Club we received a warm welcome from the Commodore, Denise Cummins and her team. 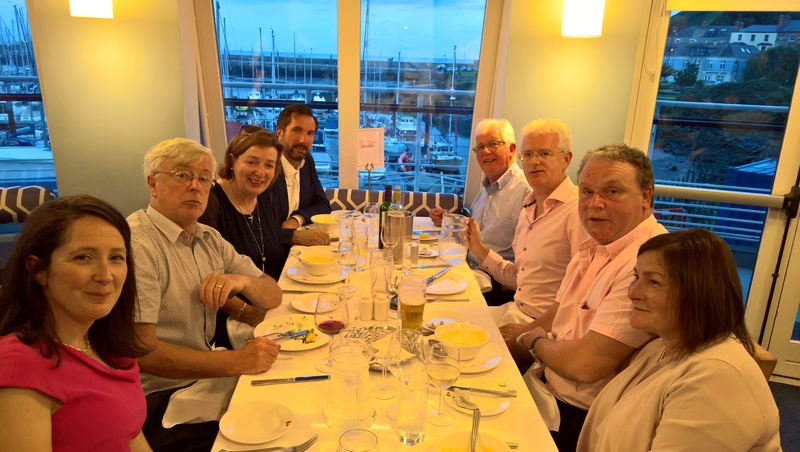 Impressively, Derek of Macro One and Alain of Poppy journeyed down to join the fleet for dinner. 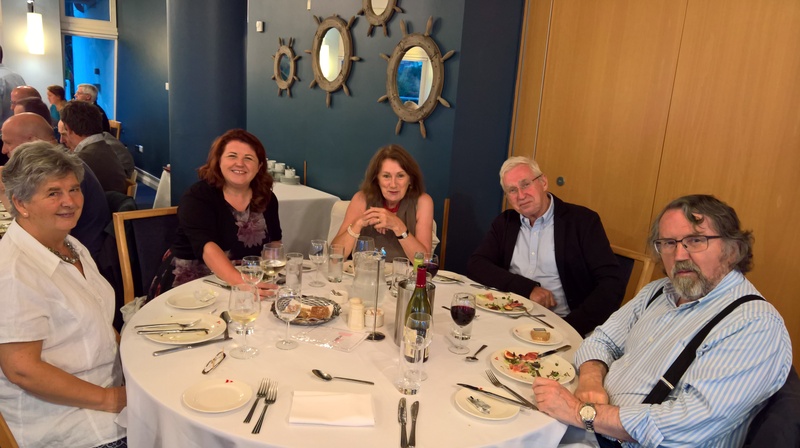 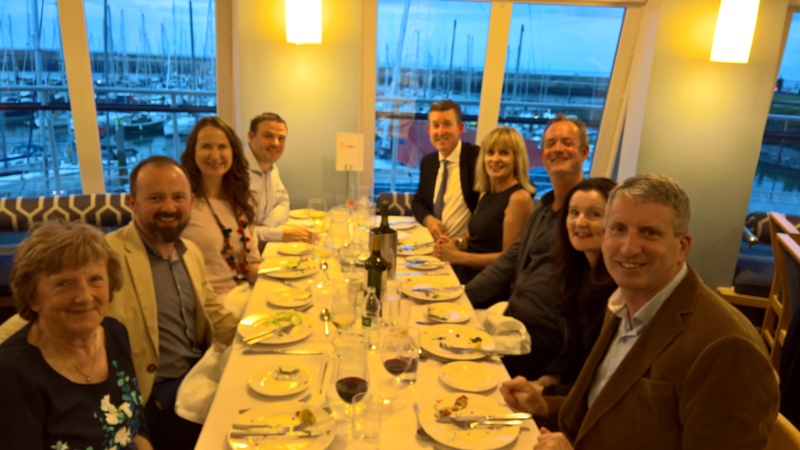 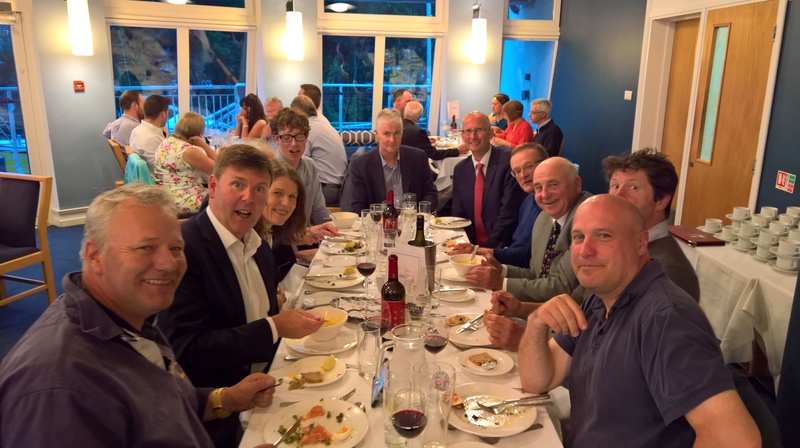 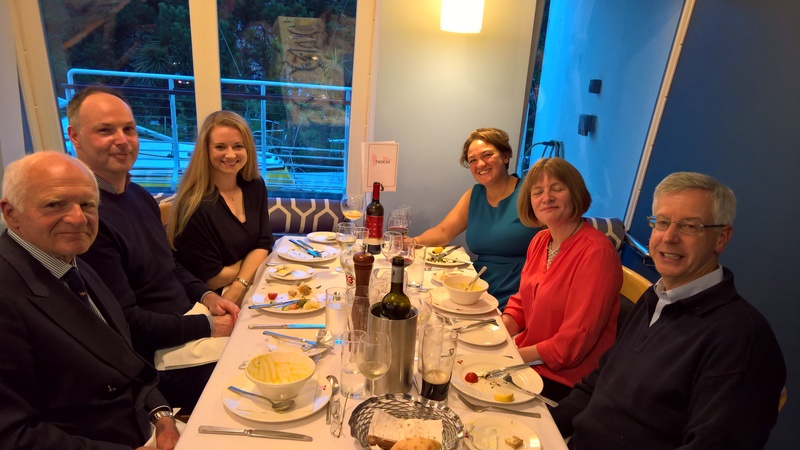 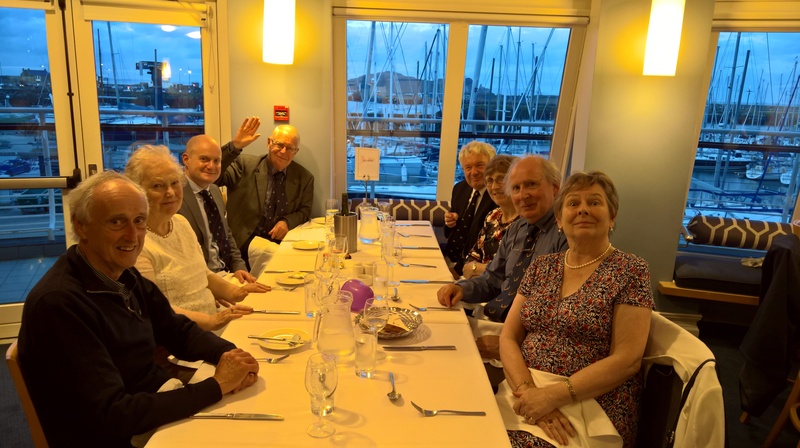 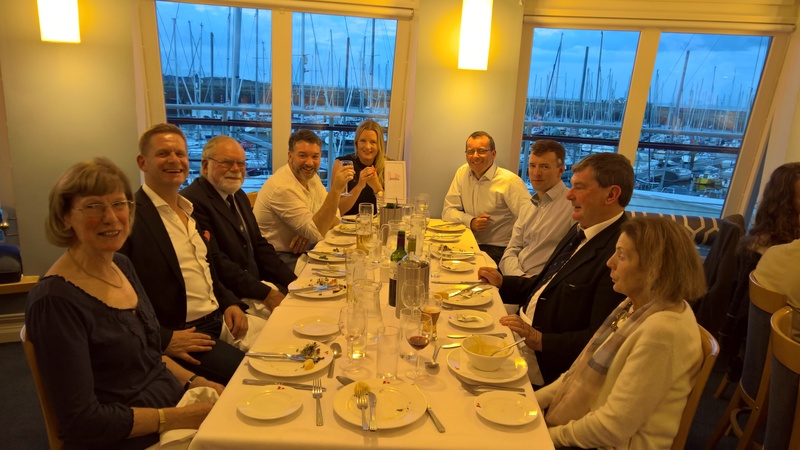 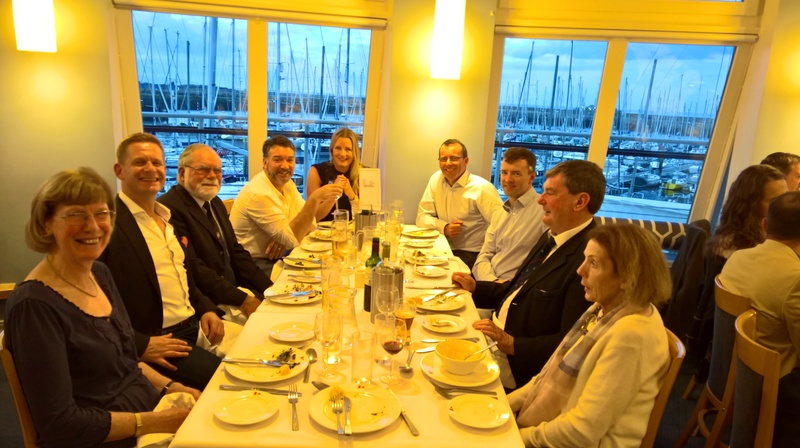 Skippers and crew from seven Shipmans sat down for an excellent steak dinner in the company of two families who had come from Northern Ireland for the Topper Championship. 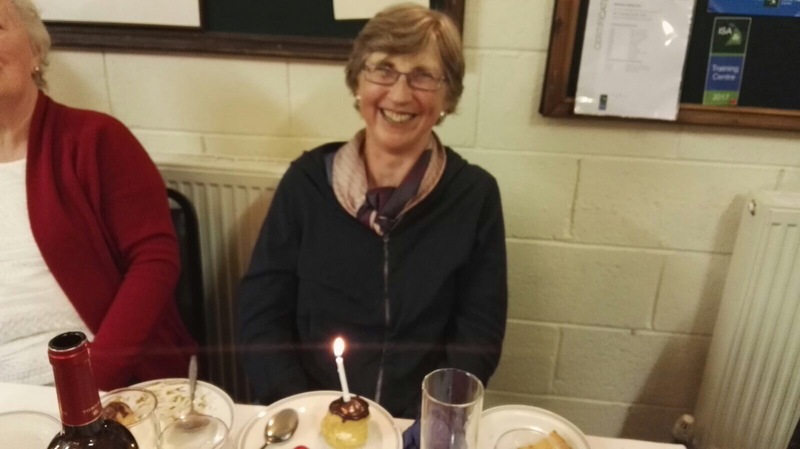 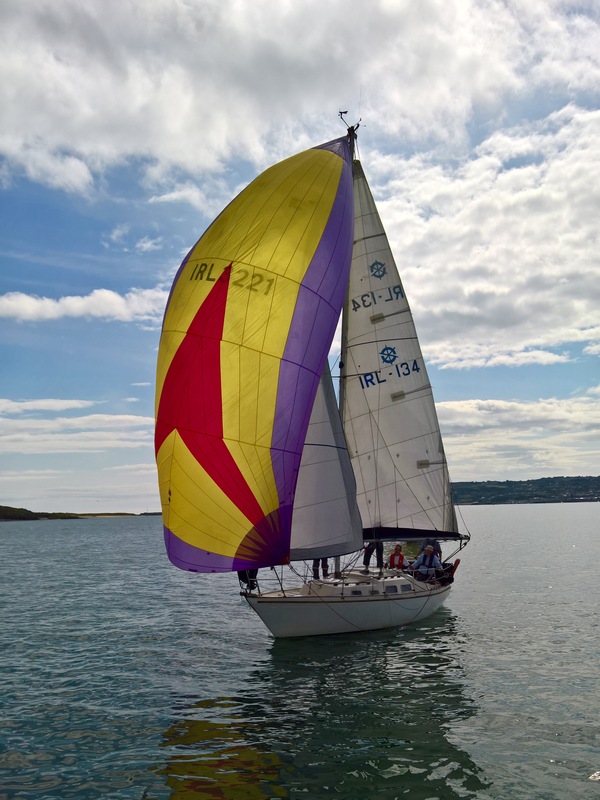 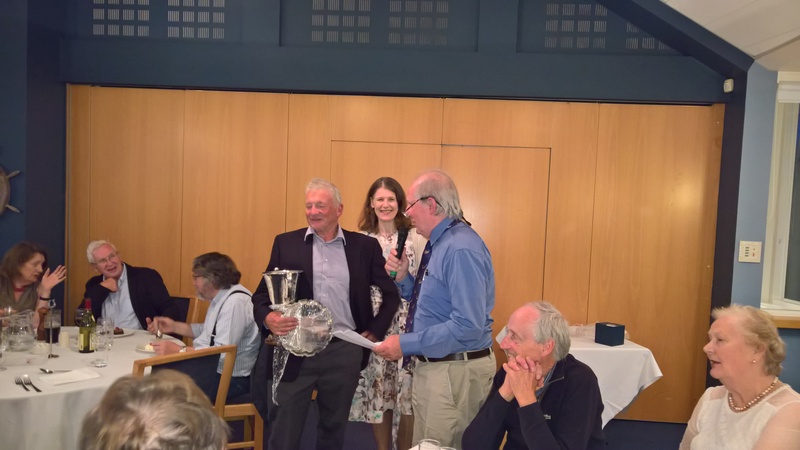 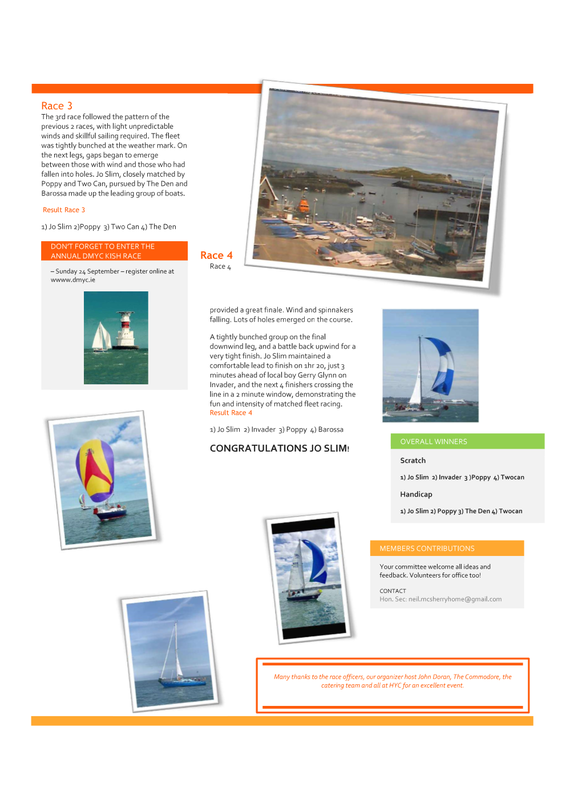 Following a 4 course meal and liquid refreshments, George Miller the winning skipper of The Den, assisted by Les Brannick from Barrossa, organized a raffle to assist the Irish Youth Sailing Club, whose equipment had been recently vandalized. 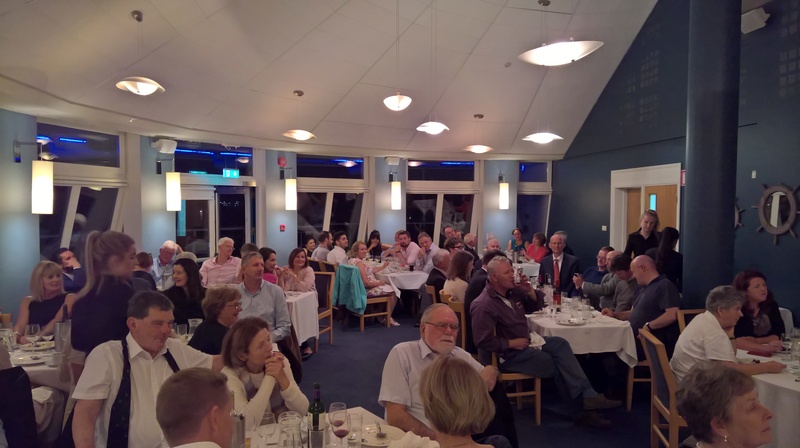 An amazing €205 was raised for the worthy cause. 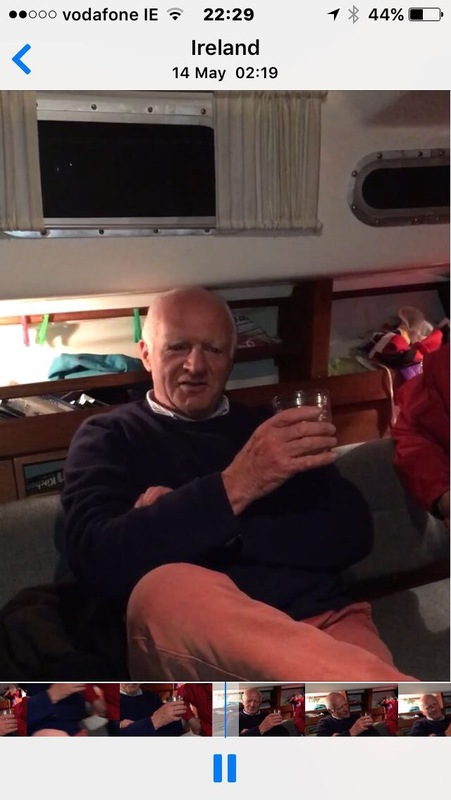 The sailors and new friends retired to the bar where the final few degrees of body heat were recovered over a few drinks by the fireplace, before the stay over sailors finally retreated back for a quiet nightcap on the rafted up boats. 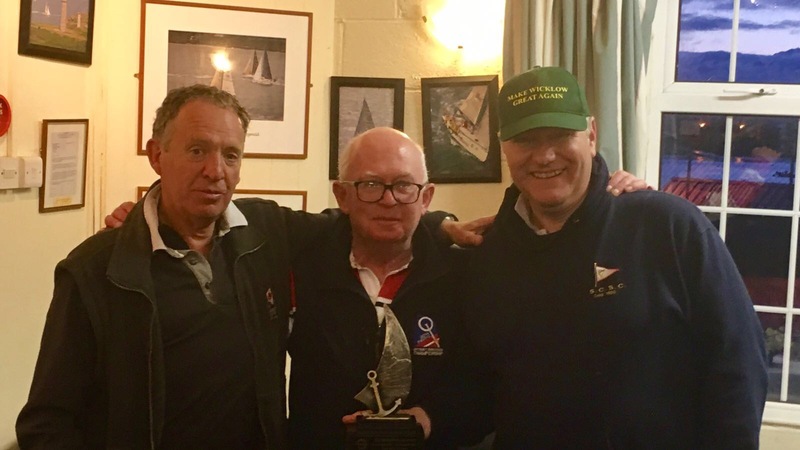 Congratulations to George Miller and the crew of The Den who won the Wicklow Race Trophy. 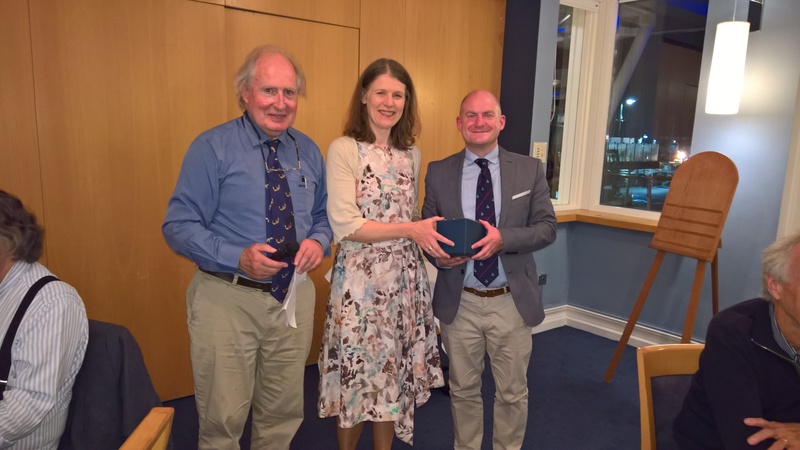 Our thanks once again for the hospitality of Wicklow Sailing Club which won club of the year for 2016.